1. 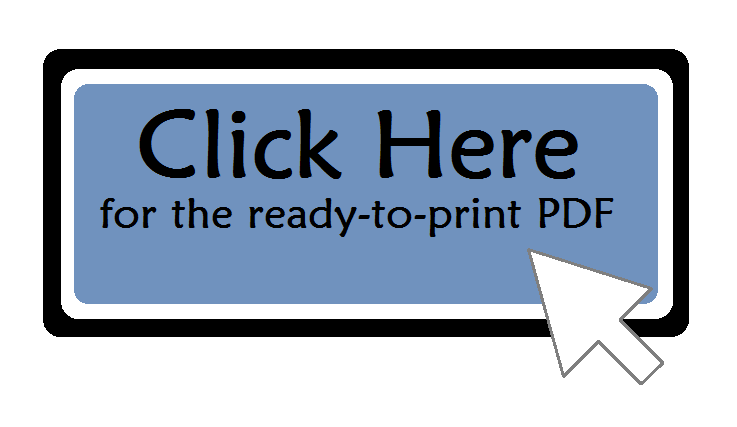 Download the appropriate PDF at the bottom of the page. 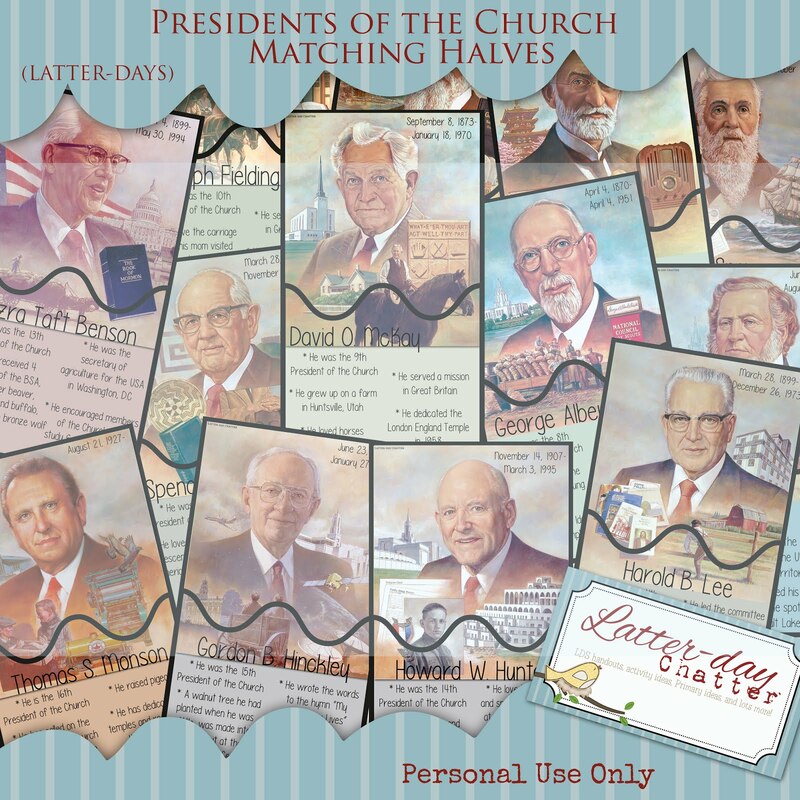 (I have a separate document for each verse and the chorus, in both US and A4 paper sizes). 3. Print the last two pages on the back of the first two. 4. Cut out the strips. 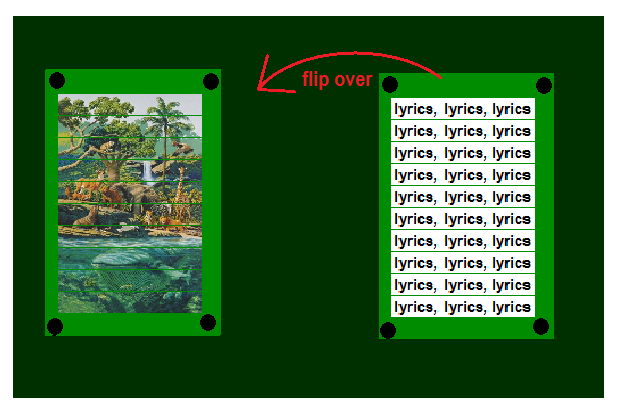 Now you should have a puzzle with the picture on one side and the lyrics to the song on the other. (If you can’t get the lyrics to line up, just write them in marker.) Cut a piece of clear shelf paper, or press-and-seal plastic, big enough to cover the entire puzzle. Remove the backing and attach it to the blackboard, sticky-side-out, with magnets or tape. 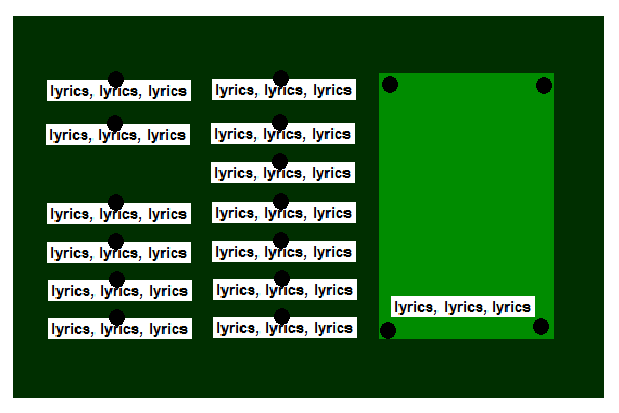 Attach the puzzle pieces, lyrics-side-out, to the blackboard with magnets or clear tape. Tell the children that they need to learn the song so well that they can recite it inside-out, backward and forward. They’re going to see if they can sing the song from the end to the beginning. Take the strip that reads “the hero again.” and place it at the bottom of the piece of shelf paper. Explain that this is the last line of the verse. Ask them to sing the song with you and listen for the line that occurs just BEFORE this one. 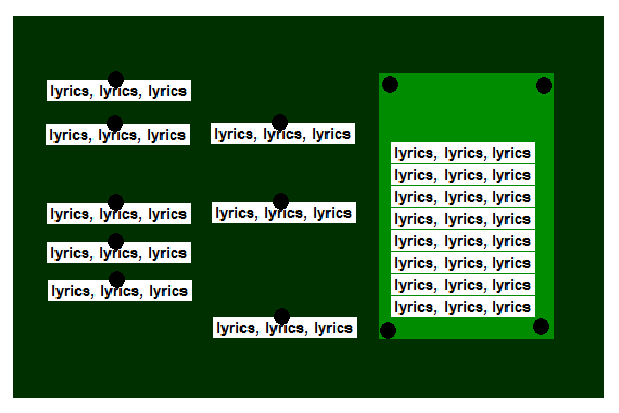 Sing through the song and ask the children which word strip belongs just above the one that you’ve already posted. Have them find the word-strip and carefully attach it to the shelf paper above the first. Continue the game until all the word strips are on the page in the correct order. 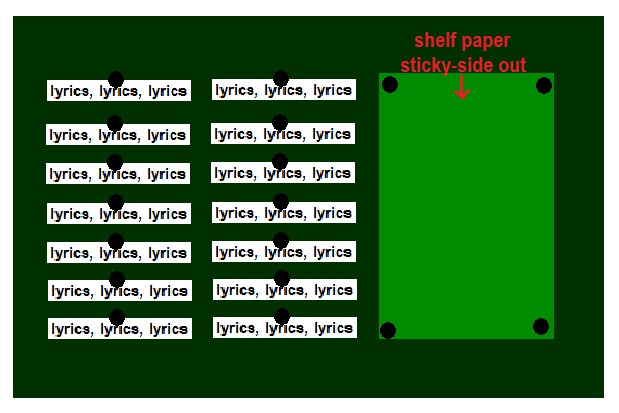 When the lyrics are complete, remove the magnets holding up the shelf paper and turn it around, showing the children the picture side of the puzzle. Week 1: The Church of Jesus Christ has been restored. 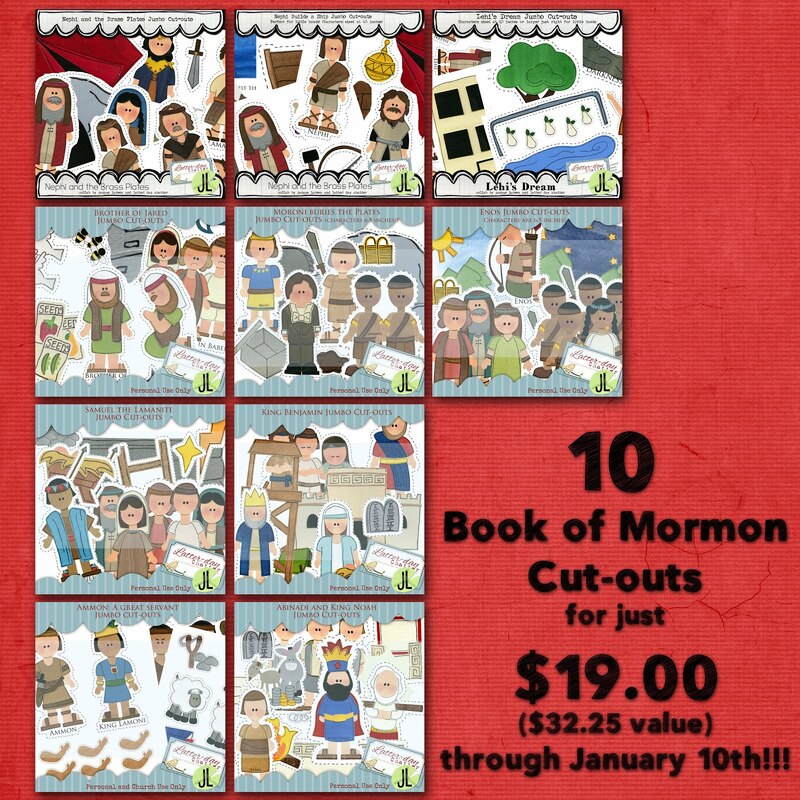 Be sure to download the little ADORABLE finger puppets of the primitive and restored churches from LDS.org. 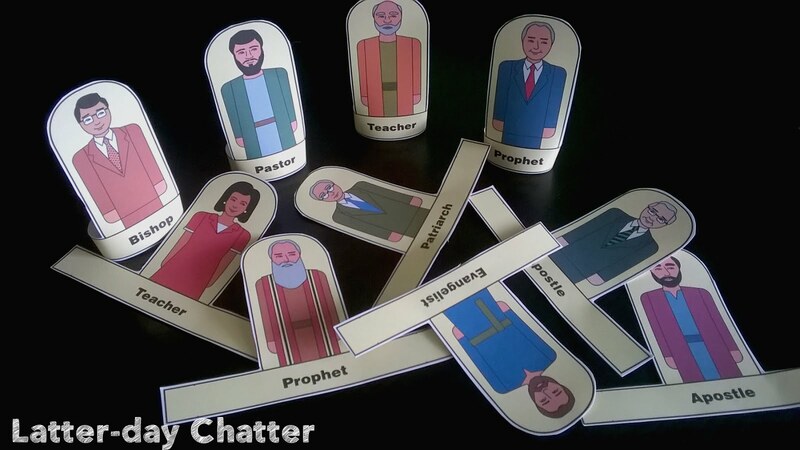 Be sure to check out Sheena over at Little LDS Ideas, she has given a few ideas for using these little puppets. This little church is how I learned about the Restoration when I was little. I’m not exactly sure what manual it’s in but it’s awesome! 2) Have one poster up on the board and have a child come up and pick one of the phrases to put onto the Church then discuss. Both sizes include a page with the words and one without depending on how you use it. And a list of the words for each size. 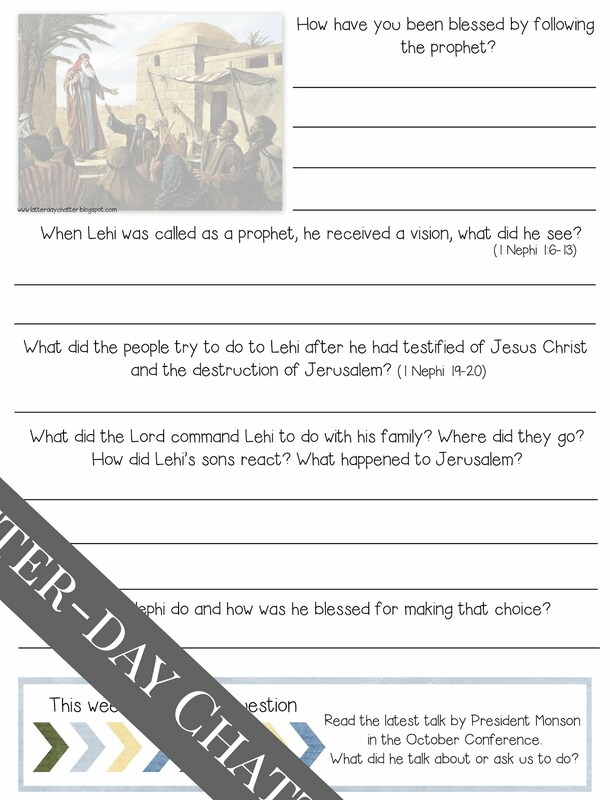 Lehi was a prophet with great courage, commitment and devotion the the Lord and to his people. Because of what he had heard and saw in a vision, he knew that he must testify to the people of their wickedness. The people were angry and tried to kill him. 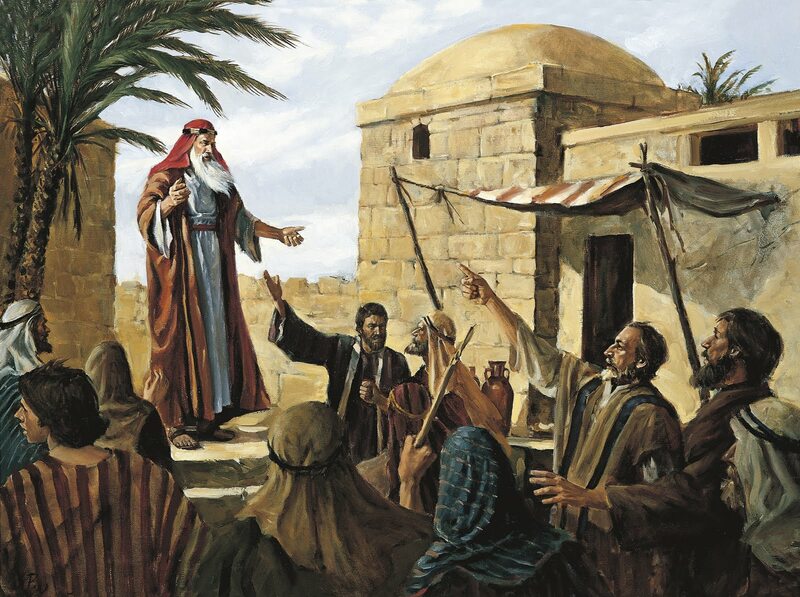 The Lord protected and blessed Lehi and commanded him to leave Jerusalem so that the Lord could continue to use Lehi as His voice to the people. Following the Lord’s command, Lehi gathered his family, leaving behind his possessions and traveled into the wilderness to the Red Sea. Here he and his family stopped after traveling for 3 days. Lehi then build an altar and thank Heavenly Father. Lehi had 4 sons, Nephi, Laman, Lemuel and Sam. Laman and Lemuel were both upset that Lehi had made them leave their home and all their belongings in Jerusalem. They didn’t believe that Jerusalem would be destroyed as Lehi had prophesied. Nephi wanted to know if what Lehi said was true and so he prayed and was told that Lehi was right, Nephi told Sam and he believed Nephi. 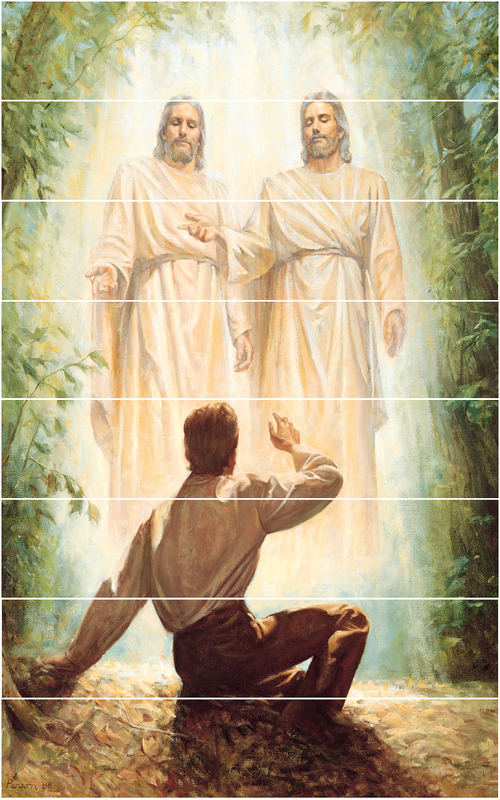 Heavenly Father blessed Nephi because of his faith. 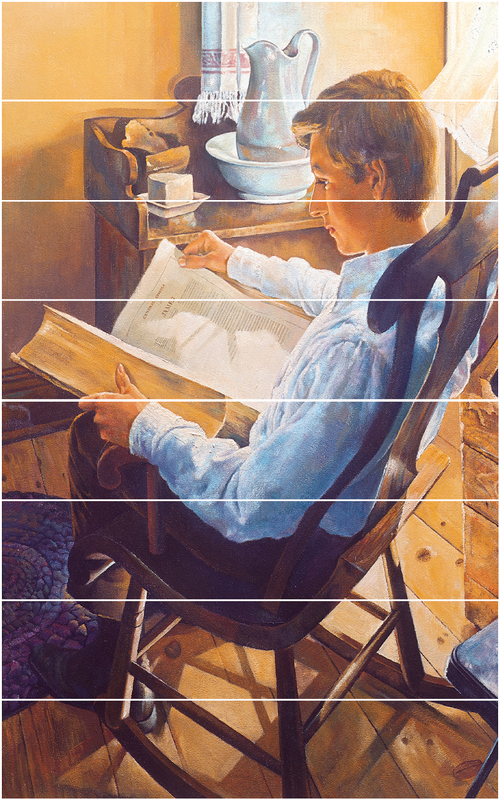 Nephi was told that as long as he kept the commandments, he would blessed and would be a ruler over his brothers. 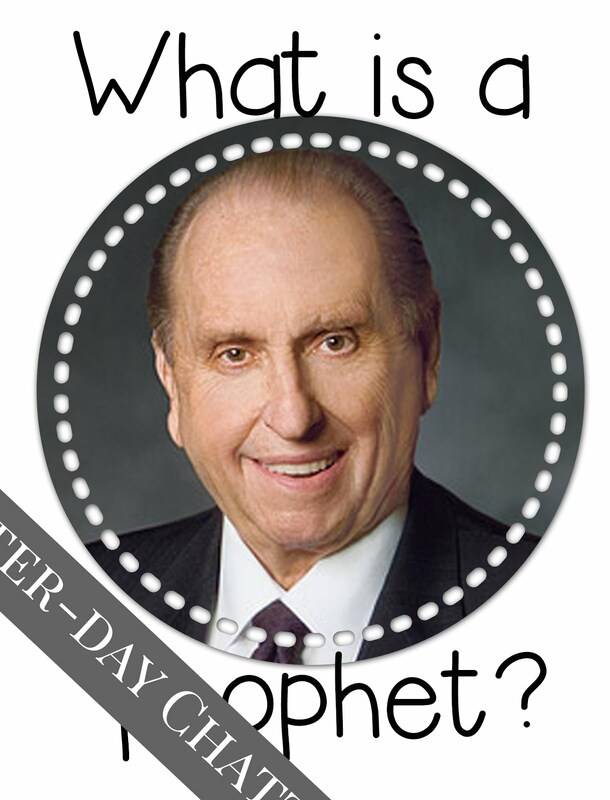 In the beginning of class, invite the kids to come up and write on the board the answer to the BOARD QUESTION…… What is a prophet? 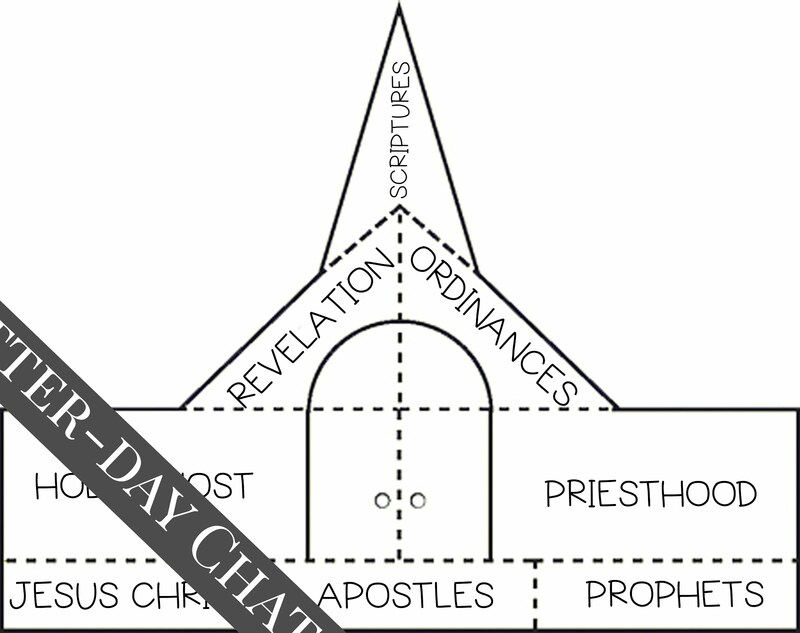 (1) He boldly claims that God has spoken to him; (2) he is a dignified man bearing a dignified message; (3) he declares his message without fear; (4) he bears witness without argument or concession; (5) he speaks in the name of the Lord; (6) he predicts future events that come to pass; (7) his message pertains to future as well as present generations; (8) he endures persecution; (9) he denounces wickedness fearlessly; (10) he does things that no man could do without God’s help; and (11) his teachings are in strict agreement with scripture. (12) that he prophesies of Christ. Here’s a fun game of matching halves to play to go along with Enrichment #2! This expires on Sunday!! Take advantage while you can! 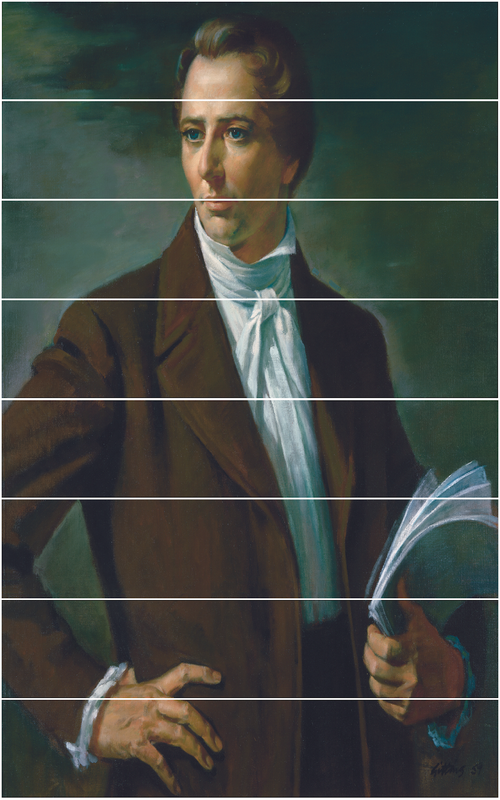 The Calling of a Prophet (Religious Studies Center-BYU) this one is particularly interesting as it breaks down the pieces of Lehi’s calling as a prophet and his vision of the destruction of Jerusalem.